Looky, everybody, this is my friend, Eye. Her blog is called Orchid Style. You may have heard of her. I've yakked about her before. Several times in fact. She's got a flair, loves to play around in costumes, is a musician, an aspiring seamstress, is passionate about the environment and animal rights. Well, not only is this German songstress sweet on style, she's sweet to her friends. Eye was recently awarded the "I heart your blog" award by her pal Orchid, and kindly, (so kindly!) included me in her list of pass-alongs. THANK YOU SO MUCH EYE! 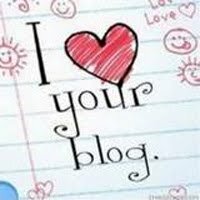 I heart YOUR blog, too! There are strings attached to this blog loving. Nice strings, string that feel like velvet pancakes, but strings none-the-less. Pay attention peoples, because YOU just may have to follow suit. Thank the person who gave you the award. ( Sort of a given, but just so we're all on the same spit-swapping page). And you are welcome. Copy the graphic of this award to your blog. In other words: BLOG about it. Love doesn't blog itself, children. Pass on this award to 15 other blogs. Presumably to bloggers/blogs that you uh, LOVE. And lastly, TELL the beloved bloggers about their award. Sara, of Autumn, Coffee and Inspiration. The mysterious C of Isquisofrenia. Kerry D, of Farms, Fashion and Freedom. The spirited Kasia of My Pink Camera. Lemondrop Marie, of Lemondrop Vintage. March Musings, of STYLE NUGGETS. Emily, of the Daily Fashionista. Emily, of Pamja Libri: the lookbook. Amber Magnolia, of Violet Folklore. Omg!!! Bella, you are so cute!!!! Thanks so much for your nice words!!!! You chose a wonderfull song of joan. I like it very much!!! WOW.. your friend is very stylish..
congrats on your award! your friend looks like she belongs on a record album cover. There are sooo many wonderful bloggers out there! So much to thank you for Bella Q. For the award of course, thanks so much. I'll do my bit and pass it on . And also for the Joan Baez video. She was my icon/idol for so long-I have an LP of that album somewhere. and thank you ,you rock! Bloggy smooches at you all! What a doll your friend is. Love her dress! Thank you darling! I heart you more! I heart your Hot Italian outfit morest of all!